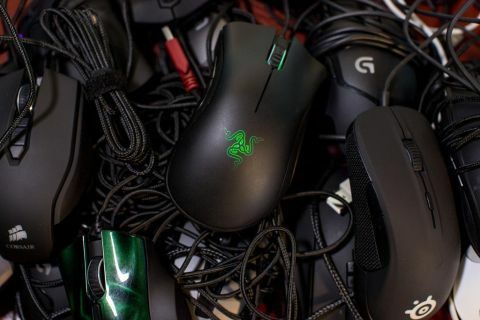 It’s no secret that a mouse and keyboard combo is the best way to play first-person shooters (or at least the most effective). It’s also no secret that console gamers on the PlayStation 4 and Xbox One are looking forward to one day, be able to do it legitimately. It looks like Xbox One owners might be getting that Xbox One mouse support they crave soon-ish. Windows Central has reported that in the Xbox Insider program, the Minecraft Beta let’s you do just that — though it’s not fluid or perfect just yet. Watch the footage in action. As you can see, the input lag is kind of severe, which would make using it on shooters kind of pointless. Of course, this in no way guarantees that we’ll see Xbox One supporting mouse controls anytime soon. Heck, even if it is implemented, Microsoft might not let PC and Xbox players compete given the disparity just by the input method alone, no? Additional stuff from Windows Central mention that there is an in-game toggle where mouse support can be enabled and disabled, which could be the answer to separate mouse and controller controller playlists. Nonetheless, this is a nice look at how far (or near?) we are to this happening in the future. Are you looking forward to using mouse and keyboard for console games or should that stuff be left on the PC side of things?